Bob and Valerie Seeley are both Ph.D's in Biology. We retired at the end of the 2006-2007 academic year. Valerie chaired the Department of Biology at one of the branches of CUNY; Bob headed the unit that provided biology courses for nursing students at NYU. Bob’s primary interest is horticulture, and at present there are over 1000 varieties of plants in multiple gardens at our home. He is a long-time member of the American Conifer Society. 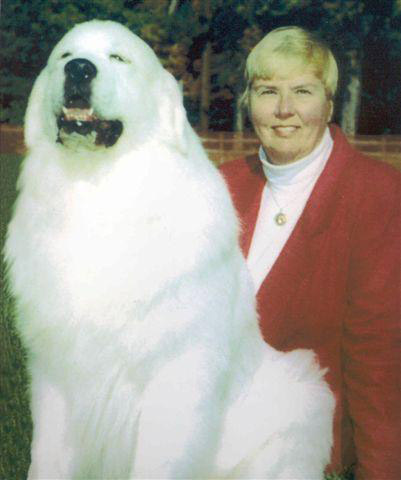 Over the years, Valerie has been involved in several Great Pyrenees and/or dog related organizations - President Secretary and Director of the Great Pyrenees Club of America, an officer of the Pyrenean Fanciers of the Northeast, a founding member and officer of the Garden State Great Pyrenees Club; and Past-President, and Director of the New Jersey Federation of Dog Clubs. In 2014 and 2017, Valerie was awarded the AKC Sportsman of the Year Award.